• Understanding Austerity: What is it and why is it happening? The weekend will involve lectures, activities and presentations and will require participants to undertake pre course reading. The course will be facilitated by Professor Mary Davis. 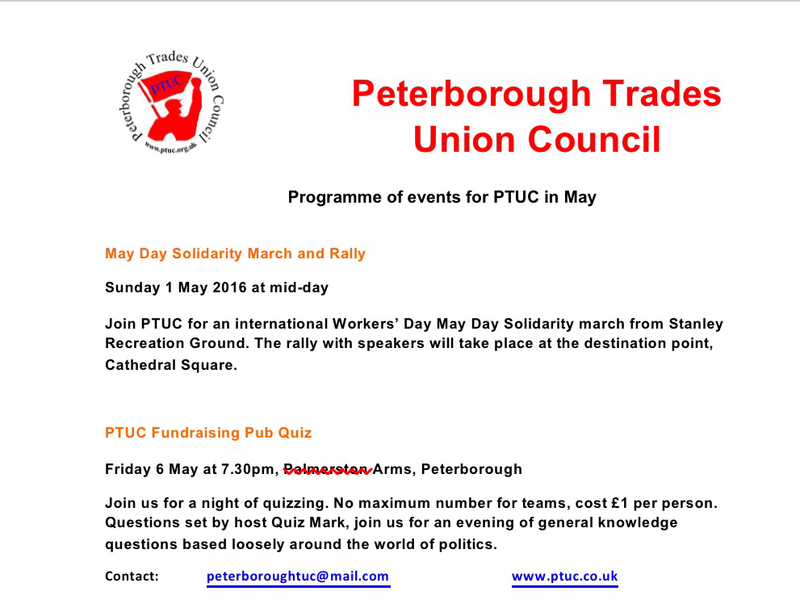 To secure your place please complete the booking form overleaf and send your booking fee of £30 made payable to ‘Communication Workers Union’ as soon as possible, as places will be strictly limited. The closing date for applications is Tuesday 31 May 2016. Please find attached the decisions taken at the CWU Postal Policy Forum held on 22nd/23rd March 2016. The whole of the Union is now united around policy relating to all aspects of concern: commitment and the application of our current agreements, the future vision for Royal Mail, employment and standard of living security, and our members’ dignity in retirement. We believe that our members will welcome the clarity of our position and the fact that we are insistent on negotiations with the employer to ensure that we genuinely have a mutual interest consensus vision on how we move forward. 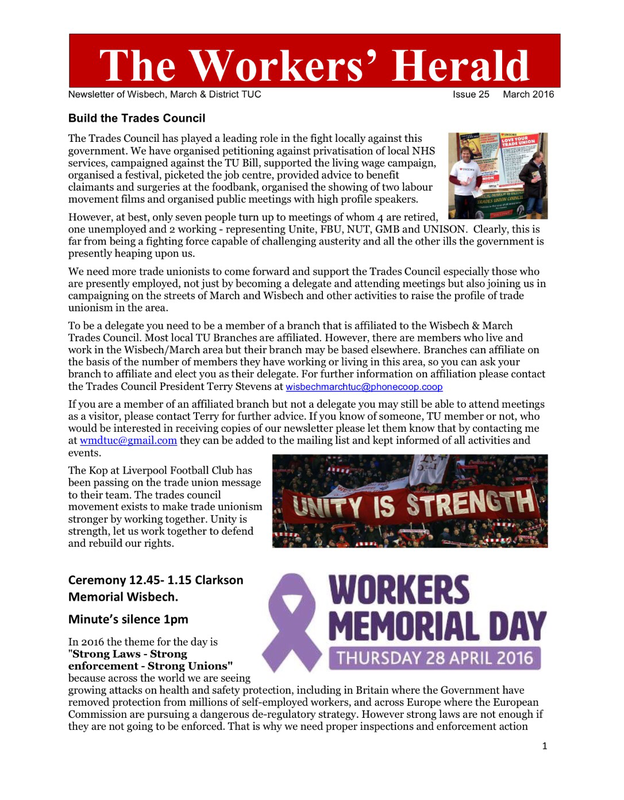 It is vital that our members are fully briefed on the position we have taken, and, whilst we will be working on a robust communication strategy nationally, it is also the responsibility of Branches and our Representatives at all levels to ensure that our members are aware that the Union is addressing both their immediate and long term concerns. It is important that everyone understands that our policies do not represent a list of promises but a list of challenges that we have total determination to address. However, our degree of success will increase if we have the full support of the membership and we must not take that for granted, we must work for it. Against that backdrop the Policy Forum document “The Future of Royal Mail, Pay and Pensions” and the attached policies will provide useful reference for any future Branch communications or members’ meetings. To reiterate, going forward we will be developing a national communication strategy to galvanise and unite the whole of the Union around our policies. CWU Exchange is the CWU’s own mentoring scheme designed to develop new activists through utilising the skills and experience of our more experienced representatives. Who will CWU Exchange be targeted at? The initial pilot scheme will be targeted at relatively new Women, BAME and Youth activists who are active in either their Branch, workplace or Region. Most will have been active for up to three years. How will we select the CWU Exchange Mentors? Potential mentors will need to apply by completing the attached application form. Please give us as much information as possible and return your application by Monday 11 April 2016. We will ask potential mentees to apply via a similar application process in due course detailing their experience to date, any barriers that they are facing and letting us know what they are looking for in a mentor. The Steering group will then be responsible for short listing 40 mentors and 40 potential mentees and for matching them with one of our trained mentors. This will be based on geography, particular areas of interest, constituency, and what they are seeking from the mentoring process. Any queries relating to this LTB should be directed to me at tlavelle@cwu.org in the CWU Education and Training Department. This Policy Forum agrees that there will be no agreement to a 6 hour. Delivery span in line with royal mail’s vision for a longer delivery span until the CWU has secured a 35 hour gross working week. That any final agreement on shaping the future of Royal Mail should not include a National Agreement that strives to introduce 6 hour walking delivery spans. That the future for outdoor delivery could be a mixture of delivery options but would not include an individual OPG assigned to do a 6 hour walking residential route, even if there was a mandatory break included after a certain time period that option is not acceptable. There will be no deployment of any element of OMP in any function without a full national agreement. Any agreement must be placed before an annual/special conference or policy forum. No individual to be allowed to start work prior to their duty/overtime start time. Full meal relief must be taken within duty time. Where geographically viable the MR will be taken by returning to the office. All delivery equipment allocated to a duty must be used. An agreed process that ensures points a-c are adhered to. A genuinely manageable workload to mitigate the fatigue of a longer delivery span. Recognition that there will be occasions where members may require a level of relief, and a process in the agreement to facilitate this. A 5 year extension to the current legally binding contract. A shorter working week, even if this is Delivery Specific to protect full time jobs. Takes in to account the impact that new technology, including the CSS machines trialled in Exeter and the impact this will have on the indoor workload in deliveries. Reverses machine removal plans/gives a fully joined up automation strategy, this includes machine capacity in each area including large machine sequencing capacity, as well has CSS capacity. Takes in to account of outdoor method changes, in particular the effect this could potentially have on our members in deliveries. Protection of full time jobs within each of the pipeline functions. Firm commitment from Royal Mail to seek new products/work and growth. Any final agreement to be placed before either a special or annual conference/policy forum. Any final agreement that contains any changes to the national work plan will be brought back to a Special Conference or policy forum. To continue to maximize full time duties. Two separate Deliveries with a Meal Relief in between, preferably, taken at the Parent Office. Workload types to be varied wherever possible to help prevent fatigue. That the pay forum recognises any change to delivery requires a radical transformation which must include safety as the integral part. Specific issues such as DDA cases must be examined and accommodated in line with the relevant legislation with full Safeguards for employees with a disability built into any new delivery agreement. Any new delivery agreement must recognise that employees will have a range of abilities and consideration must be given to individuals on this point taking into account factors such as age and physical capability. Royal Mail’s strategy has indicated that it would include the closure of up to 400 delivery offices. Given the magnitude of such a proposal this Policy Forum agrees that a New Delivery Office Closure agreement is needed. A longer consultation process (longer than the current 90 days). An agreement on what a reasonable travelling distance is for employees. That multiple offices should not be counted as single cost centres with one traffic and one hour figures. Safeguards employee welfare facilities, car parks, etc. An improvement on the one off MTSF £150 payment. In addition a consultation should take place to understand from current Delivery Office closure/merges what other issues need to be included. This Policy Forum is instructed accordingly. That this Policy Forum recognises the link between office DO closures and Royal Mails strategy for the future of deliveries; including OMP. Therefore it is agreed that in line with recommendation 3 that no cooperation be given to the current spate of DO mergers/Closures until such time as an agreement is reached on the future of deliveries and any subsequent new pipeline/work plan except where there is an accepted Health and Safety issue and or local agreement when there are benefits to the members affected i.e. new offices. Any agreement must contain the condition that all sorting and preparation of inward manual mail, for any delivery, will be performed at the delivery office at which the delivery route is based. That no agreement be given to annualised hours. However, if there are any attempts by the business to bring in OMP/Single Wave by executive action then a ballot 13 will be put in place. This policy forum agrees that A National Communications Plan is put in place and organised that incurs the widest participation possible with its members on the future job design. • Following this policy forum any Policy making motions will be shared with the membership to ensure the widest possible engagement process is achieved with our members, to take them through all of the possible effects the proposed changes may have on them. • This will consist of a road show by all relevant National Officers to all Divisional area and unit reps across the country on the policies carried at this policy forum. A plan for Office visits by all relevant National officers, PEC, Field officials across the country listening to members’ suggestions for the future and engaging them on ideas for protecting future employment. • Following the above the PEC agree to hold a further Policy forum and or a special conference to further discuss the future proposed job design. The age and dynamic of our membership, in delivery must also be a central concern in future development of delivery span and content. Furthermore, we cannot just accept a position where we have winners and losers with regards to work arrivals and any attempt by RM to introduce any such changes without agreement of the CWU must be resisted by all means possible. Any National Agreement reached will also ensure that where employee tracking technology is employed by Royal Mail such technology may not be used for individual performance management or conduct cases. No agreement is given that allows people to be tagged on the amount of hours they are working per day. That any National agreement will be placed before a special conference/annual conference or a policy forum. Any proposals will be subject to a Policy Forum before being nationally agreed. Renationalisation of Royal Mail will be the central tenet of the People’s Post Campaign. 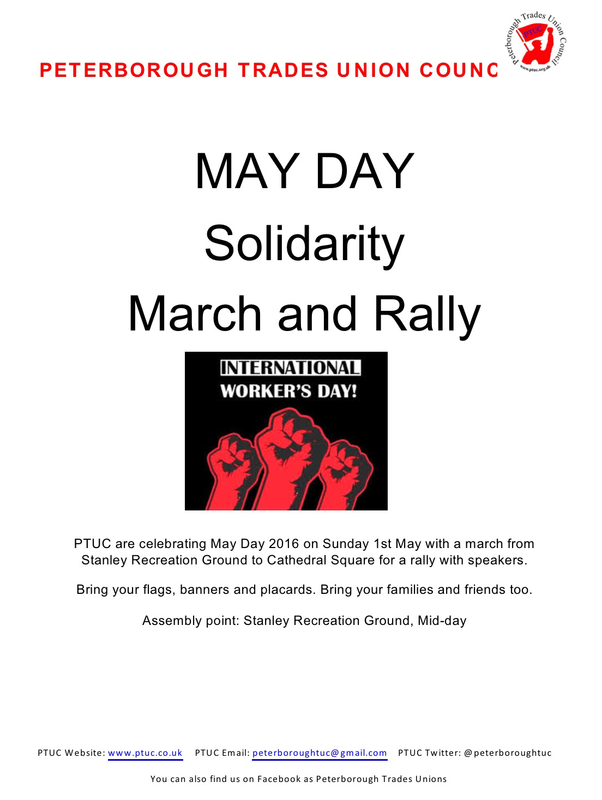 This Policy Forum congratulates all those involved in the spectacularly successful People’s Post Rally in Manchester and commits to maximising attendance and participation at the next People’s Post Rally to be held in Birmingham in June 2016 thereby ensuring that the campaign goes from strength to strength. 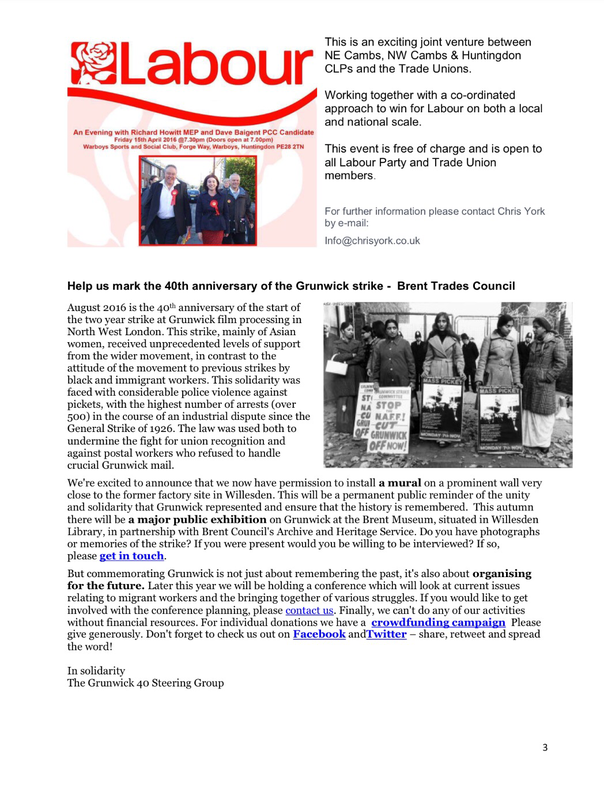 This policy forum agrees that a National day of action is organised in London (initially) prior to the summer closure of Parliament that highlights the People’s Post Campaign and then the CWU organise an on-going campaigns across the country. “one year” and insert “three year”. The focus from April 2016 should be on pay only for one year until such time the CWU fully understand the impact of OMP and Automated Data Control/Production Control on our member’s terms and conditions. This Policy Forum agrees that the one year pay and reward agreement must not be dependent on any negotiations or agreement on Royal Mail’s strategy or any pilot on one wave. That agreed pay/reward arrangements for specific bargaining units e.g. Parcelforce and RMSS are shaped to meet the members’ aspirations within these units. Increased automation and improvements in current automation such as Tops 2000 or MDEC. Royal Mail’s future strategy of one wave, later acceptance and later deliveries. The planned introduction of Production Control which seeks to measure every single second of CWU members’ working day with the intention of resourcing to workload. This Policy Forum recognises that the above threats will combine to reduce full time jobs and some higher hourage part time contracts. 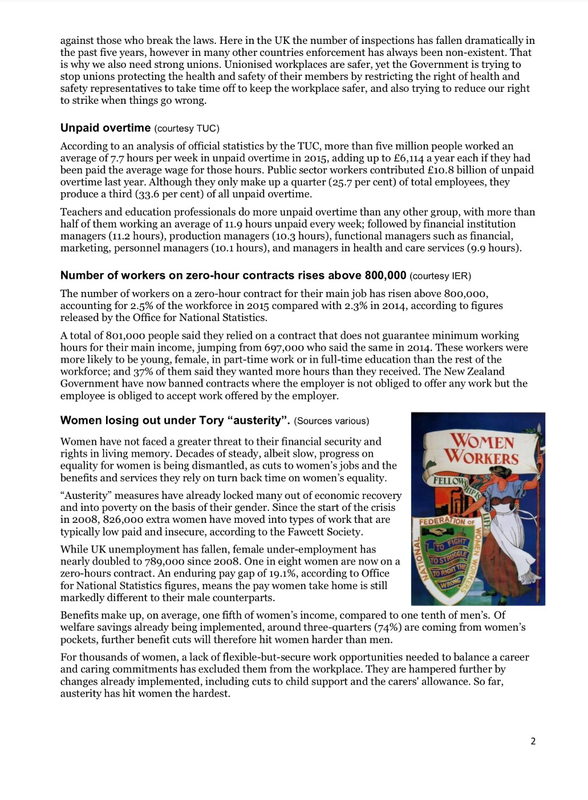 This Policy Forum therefore agrees that it is essential that the CWU now achieves its policy of a 35 hour gross working week (with no reduction in pay). The CWU must now link Royal Mail’s strategies on automation, working time directives, their working plan changes, one wave and Royal Mail’s strategy with a plan within 3 years of achieving a 35 hour gross working week. This Policy Forum will launch a membership communication exercise explaining the rationale of a shorter working week in safe guarding future jobs. This Policy Forum agrees that the CWU’s policy will be to agree a 35 hour gross working week by 2020 with reductions in the working week each year linked to automation deployment and Royal Mail’s strategy. Failure to reach an agreement on this strategy by October 1st 2016 will result in the CWU withdrawing support for any new automation and will oppose Royal Mail’s strategy.The PEC will also give consideration to balloting for industrial action to achieve a comprehensive agreement which achieves the 35 hour gross working week for CWU members (without any reduction in pay). The PEC is instructed accordingly. If when pursing a one year pay and reward agreement, a reduction in hours linked to current policy isn’t achieved, then a formal commitment must be achieved for the principle of a reduction to the working week, for the relevant CWU Grades; as part of any future longer term Agreement. That the securing of a meaningful reduction in the working week remains the overriding priority of the CWU in terms of protecting full time employment, both in the short and long terms. In respect of the MDEC in line with conference policy Motion 104 from 2014 it is recognised that the historic low pay levels of MDEC data keyers needs to be addressed and the PEC will seek to treat this group of workers as a special case in pay negotiations. An Increase of two day’s Annual Leave for all OPG grades in Royal Mail. Post persons have not had an increase in Annual Leave since the Way Forward Agreement of 2000, it is now time to look at the way the work has changed over the years and our members working their hours. It is imperative that the CWU look at the overall savings Royal Mail could accrue from any future agreements based on their 5 year plan. The CWU will look at our own overall package of proposals and the CWU will position themselves to such an extent that until we understand the significant changes to current working practises within Royal Mail, there will be no agreement on any changes until a further policy forum / special conference takes place once the implications of the effects of Royal Mail’s proposals are understood. This policy forum agrees that the issue of average earnings included in holiday pay needs to be addressed as soon as is practically possible as this affects all our members but part-timers in the main and disproportionately. In the absence of a national agreement on holiday pay and whilst the negotiations continue at a national level the policy forum agrees that CWU legal dept. should support a number of cases (potentially one per division) that have a reasonable prospect of success in the courts to show the business we are serious about the issue. This will also show our part-time and full-time members we support them and address the inequality of the current position and provide a pinch point for the business to conclude the negotiations. That in the absence of achieving an overall agreement on Holiday pay, the union seeks, in the first instance to reach an agreement for our part time members who in the main are excluded from enhanced Holiday pay as a result of a reduced access to Scheduled Attendance. That the legal department supports A SELECTED NUMBER OF PART TIME members via the Employment tribunal with a view to strengthening our negotiating position. Any such agreement will be subject to a National Policy Forum. This Policy Forum agrees that should the current defined benefit scheme close, then any new scheme must include a minimum contribution from the employer (Royal Mail) of 17.1%. This forum further agrees and that a provision is must be provided that will allow any current member of the defined benefit scheme the opportunity to use their final cash amount/savings, from the defined contribution scheme, to purchase additional pension block benefits from their previous career average defined contribution scheme. This Policy Forum agrees that should an agreement be reached on the closure of the current Defined Benefit Scheme then any new Defined Contribution Scheme will include the employer (Royal Mail) making a minimum contribution of 17.1% and the employee has an option to make a contribution of up to 10%. This Policy Forum condemns John Millidge’s recent announcement that it is likely that Royal Mail will shortly announce that it will close the Defined Benefit Scheme after 2018. This Policy Forum is fed up with Royal Mail’s failed promises on safe- guarding our pensions. Therefore if Royal Mail announces under the legal consultation process of their intention to close the Defined Benefit Scheme post 2018, then this Policy Forum agrees that the CWU will launch a campaign to stop Royal Mail including an industrial action ballot. The Policy forum also notes the recent reports on defined contribution schemes not producing an adequate pension unless individuals work to over 70. This Policy Forum will as part of the industrial action settlement secure a better pension settlement for those in the current Defined Contribution Scheme. This policy forum notes with concern the potential further attacks on members pension benefits as outlined by Jon Millidge at the recent national briefing. This policy forum agrees that it would be obscene to contemplate worsening pension benefits for CWU members whilst at the same time shareholders will receive share dividends based on profits. This Policy forum therefore instructs the PEC to enter into urgent national discussions with Royal Mail to use a significant portion of any monies identified by the board as share dividends to protect CWU member benefits under each pension scheme. The PEC should use all means at their disposal from mediation up to and including industrial action to achieve agreement. That no agreement is reached until all outstanding BT2010 payments have been made. When an Agreement is reached it must be consistent with the above report and which reaffirms commitment to our current Agreements, builds upon them and the growth agenda, resolves all outstanding issues and seeks to extend the agreed commitments, MTSF and the legally binding Agreement for a further five years. Add at End: that this Policy Forum welcomes an extension of the legal guarantees and MTSF, however this Policy Forum agrees that this must not be dependent on the CWU agreeing to Royal Mail’s ‘vision’ of the future strategy for the business or a pilot/agreement to extend the current OMP trial or a move to single wave sequencing. This Policy Forum believes that there is no coherent automation strategy. It is apparent that Royal Mail is inclined to finance a number of competing initiatives without any clarity around priorities or compatibility as well as the need to remove essential existing equipment to facilitate new machines. This Forum is also concerned at the lack of any meaningful involvement of the CWU. decisions are in line with the BT2010 and the Agenda for Growth agreements for full consultation and genuine consensual change based on mutual interest. This intervention is necessary in light of a recent undisclosed machine move of an iLSM from Peterborough Mail Centre to Chelmsford in February. 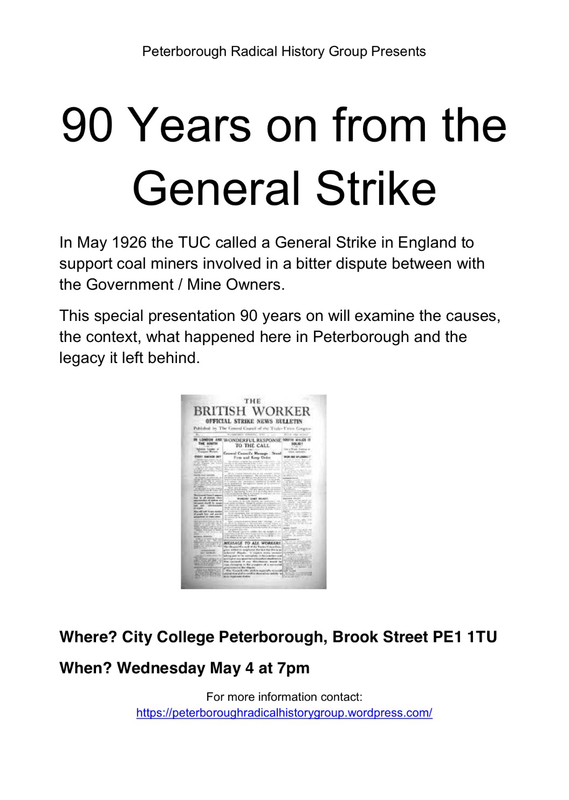 This move took place without local, regional or National consultation with the CWU or notification to the NPG. No further machine moves should take place until meaningful consultation has taken place in line with the principles of the Agenda for Growth, ie. Working together in a transparent way to develop letters strategy in a mutually beneficial way. Consultation must consider the requirement to sustain the agreed Standard Maintenance Procedures (SMP) process to improve automation performance, quality and safety. Should consultation not satisfy the above conditions it will be viewed as serious breach of current agreements and consideration will be given to raising a point of principle at National level. This Policy forum recognises that with the inevitable reduction in the workforce going forward, that there should be no depreciation of the terms and conditions which are covered by the MTFS agreement and legally binding agreement. That management and CWU continue to explore more options to maintain the overall resourcing model based on predominately full time employment, with a diminishing indoor workload in Delivery and the option to look to extend outdoor delivery spans we must start to address the fatigue associated with longer spans. The CWU need to be at the forefront of developing spans that ensure our members are able to take breaks aligned to the structures, even if that means returning to the office to do so, thus giving a real opportunity for refreshment and replenishment which would be a mandatory requirement. That across RMG the CWU will engage in no further revision or savings activity until such a time as agreements are concluded on Recommendations 1. Increasing part time contracts hours in line with the agreed criteria in the Job Security agreement. The Pay and Modernisation and the Agenda for Growth agreement in relation to reducing the use of agency staff and casuals. Royal Mail’s contempt for these agreements has led to huge numbers of casuals, agency and managers performing OPG work at a time when we are being told that Royal Mail is inefficient. Equally the above has led to falling quality of service standards and has put more pressure on CWU members. An improved filling of vacancies process which allows offices to agree a TM1 / establishment and for that to be recruited against and a process for filling any new vacancies. That there should be the ability for the CWU and management to agree to recruit a vacancy to full time where there is suitable workload to support this and that this will be agreed at local level and not simply be blocked by the centre or HR. That in line with the decision makers in the IR framework that local agreement can decide to increase a part timers contract where they are working above their contracted hours in line with the criteria of agenda for growth agreement. That all sites where there are either casuals or agency staff working will undertake an review to establish what resourcing is needed against workload and if there is a need for an increase in staffing than this will be advertised as new Royal Mail jobs to be filled. This policy forum further agrees that until the CWU achieves a new resourcing agreement than no further extension of the Walsall trial will be agreed and no agreement to roll out of their one wave strategy. If no agreement is achieved by conference 2016 than consideration will be given to suspending all support for revision activity. An update on progress will be given at the CWU postal conference. The 6-month reviews are a fundamental collective activity associated to both Agreements – Job Security and Agenda for Growth Stability and Long term Success (paragraph 2.7.7). So far Royal Mail has not matched its recorded commitments with actions, in the majority of cases. Therefore, going forward we need a framework process that provides assurances that these reviews have actually taken place inside a timely schedule. These joint reviews will now take place in all Offices during the months of April and November. Local reviews will be undertaken and the outputs will be shared in area functional strategic involvement meetings. To support this, the Divisional Reps will meet with all the functional directors and IR manager to oversee that this commitment has been fulfilled. The headline data on staffing profiles and contractual reviews will form part of these higher level reviews. Once completed the collated data will then be fed back to the National Parties. Consideration will be given to introducing a formal process nationally that all joint reviews will now take place in all Offices during the months of April and October and the outputs shared with Divisional Representatives and National Officers. In keeping with the principle of seeking a settlement for members that enforces and extends our existing agreements, in particular the JSA a comprehensive consultation exercise takes place, engaging our part time members to establish the size of the problem in terms of non adherence and application. To ensure its application does not contravene the principles of seniority when increases in contractual hours are being considered. That the 6 monthly reviews becomes a joint mandatory initiative overseen at HQ level. And is subject to National review on an ongoing basis. Time has now come for this union to use its influences in the workplace to expose Royal Mails failure to honour the job security agreement thus continuously obstructing opportunity to uplift part time to extra hours despite the glaring facts presented by the CWU at resource meetings and 6 monthly reviews. We need to consider where the unions priorities lie and use all means at our disposal to secure the terms of the policies contained in Motions in 31 at Conference 2014 and 97 in 2015 without further delay. It is no longer acceptable that our members lose out on average pay and permanent uplifts in hours whilst management work against the spirit of joint statements and legally binding agreements in place. Given Royal Mail’s now preferred recruitment model of Agency staff conversions to OPG contracts, as a union we must ensure these members / workers are treated with fairness. Considering the time periods many such workers are in the industry ahead of receiving their contracts, the current business policy of new entrants terms & conditions (particularly around probationary periods and loss of sick pay) needs to be reviewed so it’s fit for purpose and a formal national Agency contract conversion agreement should be achieved to complement our existing nationally agreed policies on Resourcing. Furthermore, the CWU should strive for further recruitment and formal trade union recognition within these Employment Agencies where we have members to further ensure the betterment of these workers terms & conditions within our industry and fairness in opportunity. This policy forum recognises that nearly half of Royal Mail’s workforce is currently over the age of 50, and that any future negotiations involving a 6 hour delivery should take this into account. The recent Long Term Fatigue Study No, 041/16 Ref; 600 highlighted some of the problems that our members have suffered as a result of prolonged workloads. The postal executive is instructed to conduct a full examination prior to any negotiations, to ensure that our members don’t suffer any lasting effects as a result of Royal Mail’s 5 year savings plan. 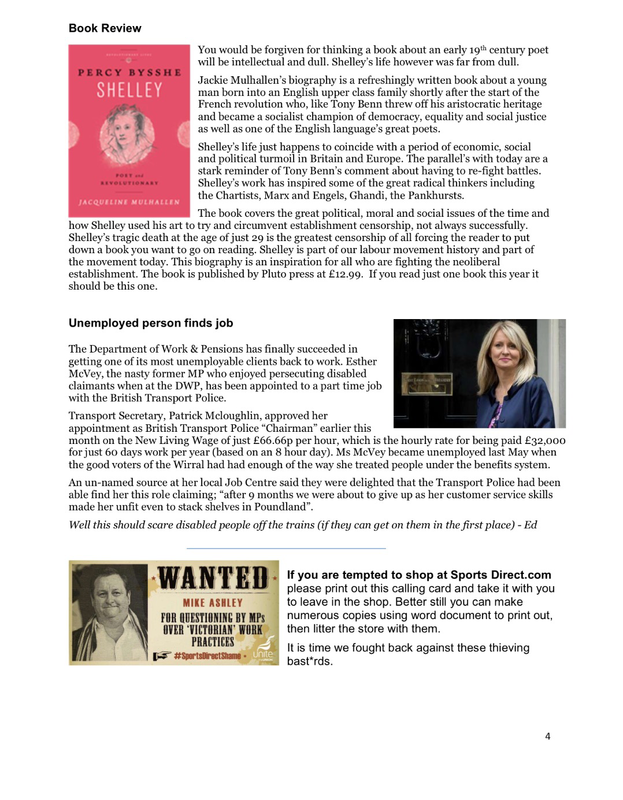 The finding are to be presented to all branches accordingly. To ensure the business is serious regarding any commitment to cease the practice of managerial grades performing uniform grade work and to remove any budget and/or performance incentive for operational managers to attempt to circumvent such a commitment; the PEC is instructed to achieve agreement that in all cases where a manager performs uniform grade work, the hours will be recorded and a cash equivalent to the hours worked will be placed in an office bonus pot. The sum accrued in the office bonus pot to be shared equally amongst the OPG graded staff in each office every 12 months in the second week of December. This policy forum agrees that the job security agreement is in the main is an excellent national agreement. However, we recognise that that managers have not been deploying the agreement in spirit or intent. The DGS(P) will inform RM that where a manager refuses to follow the Job Security Agreement we view this as a breach of the agreement which will deemed as executive action to which we will respond to accordingly. In addition to (1) above we recognise that there is an anomaly with the agreement namely when additional hours are identified in line with para 3.3 less senior staff may be getting the advantage of increased contractual hourage. Therefore, any additional hours identified in line with para 3.3 should be attached to the duty that they are being regularly used against. This duty will then be deemed vacant, advertised and given to the most senior applicant thus ensuring the principle of seniority is maintained. This Policy forum agrees that the CWU develop a training workshop to assist reps on the job security agreement and resourcing agreements as well as manpower planning assumptions. That across RMG the CWU will engage in no further revision or savings activity until such a time as agreements are concluded on Recommendations 2. If it is identified that Royal Mail are not adhering to the National Agreement and joint statement by Monday 25th April 2016 the CWU will call for a Rule 13 ballot. That no agreement is given to OMP/Single Wave until a new pipeline/workplan is agreed which embraces the spirit and intent of the above report and ensures that the core of delivery duties will commence no later than 7am and which ensures that all deliveries are performed properly in line with our Agreements e.g. start times, equipment, tools and meal breaks. That this Policy Forum recognises that Royal Mail’s vision for the future is to artificially delay the work in the network to drive one wave and later deliveries. Royal Mail’s far reaching strategy is based on significant numbers of job losses in all functions and the creation of a predominately part time flexible workforce. This Policy Forum rejects Royal Mail’s strategy, and will oppose it by all means necessary. Alternatively the CWU will launch a campaign amongst the Public, Businesses and Charities etc. which highlights the fact that Royal Mail’s first business plan post privatisation is to worsen the time that customers receive their mail. Additionally the CWU will explore an alternative strategy which allows work to be delivered from 0700 on one or two or three deliveries. This strategy will allow for bespoke services to be delivered later to grow the business i.e. later acceptance times and same day. The CWU strategy will allow the opportunity to grow in the parcels business and protect full time jobs with well-paid part time jobs. A joint working group will be set up with involvement of Officers, PEC, Field officials and Area reps and Branches to design the strategy which will be presented to Conference 2016 or another Policy Forum. Any attempts by the Businesses to introduce one wave or other parts of their strategy without agreement will be resisted by all means necessary. You can share these links with your colleagues via email, text message and social media. Meals on Wheels deliver a hot subsidised meal to older/vulnerable & disabled people in the community, keeping them well-nourished & tackling issues affecting older people today – loneliness, isolation and safety in the home. Ongoing budget cuts are threatening provision. Over 1/3 of councils no longer have a service. The next wave of spending cuts will bring more closures and leave more people without access to a hot meal. This must stop. The service must be statutory protected.